← Meet Protagonize at SXSW this week! This is the first in a series of guest posts from select authors in Protagonize‘s creative writing community. Do you have something to say that might be of interest to our members? Feel free to contact us with blog ideas and share your passion for writing with our readers. My name is Jillian Hewitt and I’m twenty-two. I’ve been a Protagonize member since February 13, 2008. It’s only been a little more than a year, but since then, a couple of amazing opportunities have opened up to me, as a writer. For one, in a few short weeks, I will be a published novelist (Cool, right? I’m still trying to believe it). Secondly, a poem of mine will be published in a literary journal, which is run from the local university. In my own experience, I could attribute these accomplishments to three things: One, perseverance; two… oh, ok, so maybe just one thing. It sounds pretty cheesy, and yeah, you’ve probably heard it before, but it seriously takes some determination if you want to get things done in the writing world. I’ve been slowly wading my way deeper into this world over the past five years, and I can tell you that every step is bogged down with the need for persistence. When I was seventeen, I decided to write a book (whatever, no biggie.) Miraculously, I managed to do it. It took a year, but I did it. It wasn’t great. In fact, it was riddled with mistakes; spelling mistakes, syntax problems, punctuation issues that would bring an editor to tears. But, the main thing was, I had something that I thought was worth working on. For a long time, I didn’t know what to do with it (I distinctly remember saying “Now what?” over and over). After a while, I got tired of letting it sit there, gathering virtual dust, so I started doing some research. I found out that most publishers will only accept work that is represented by an agent. Well, that’s a start. I’ll get an agent. Getting an agent wasn’t too difficult. The hard part is trying to figure out which ones are legitimate and which ones are just trying to waste your time and take your money. For example, try to stay away from the ones that make you pay a “reading” or “entry” fee; reading fees are unnecessary and not the norm. These people probably don’t have your best interests in mind. So eventually, I found one in New York that I liked. Next, I had to fill out the query form with things like biographies, synopsis, and target audiences and so on. The process was fairly nerve wracking. I had to get these people to like my book from just one little query form? I would have told you I didn’t stand a chance. But, I thought, what the hell? I might as well give it my best shot. So, if I made my manuscript sound okay on the query form, they would ask to see a couple of paragraphs. If they liked the sound of those, they might want to see a whole chapter. If they liked that, they just might want to read the whole thing. Miraculously, this is what happened. They offered me a contract and got underway with marketing my work. They made up a nice letter for me, explaining how great my manuscript is, and sent it out to a bunch of publishers who were looking to publish books of the same type and genre as mine. It seemed so easy and I was very optimistic. However, as months went by, each publisher would write back and politely but firmly say, “No, thank-you.” Essentially, I (and my book) got rejected by upwards of twenty different publishers. Ouch. Meanwhile, since things were not going great in the publishing department, I entered my manuscript into contests for fresh, young writers. Again, I was optimistic and excited. I didn’t win. In fact, I didn’t even get short-listed. But, that was okay too! Because it was at this time that I discovered Protagonize. Honestly, when I first laid eyes on Protagonize, I was astonished. I couldn’t understand how I managed to stumble over this writing utopia. You may not believe this, but Protagonize has turned me around and made me into twice, or three times the writer I was before. It offered so many different avenues of writing. I could see how other people write, their styles and methods. I could try writing any type of genre I wanted, without fear of being rejected. That’s exactly what I did; I tried my hand at writing science fiction, fantasy, and mystery for the first time on Protagonize. I even wrote a few poems (and trust me, I am not a poet.) I met a lot of good people who became good friends and they inspired me in many different ways. Most importantly of all, Protagonize was a way of practising my writing, in a way that was incredibly fun. A lot of people may not know, but writing is just like any other skill; the more you practise it, the better you will become. Sure, some people are innately good at expressing themselves with words, but it’s also a learned skill that will get better over time, as long as you keep writing. I kept an open mind about the stories and poems I was submitting to magazines. This was new territory, after all. I was still feeling my way around, so I told myself not to expect too much; if I didn’t get published, I would still be satisfied with a simple critique or piece of advice from an editor. After I had submitted a few things to a few different magazines and journals, I got a long overdue email from my agent. A small New York publisher was looking for, well, something to publish. My agent recommended me to them. I checked out the publisher and it looked promising. They read my book, liked it, saw potential in it, and offered me a contract. From there, I began filling out press release forms, approving cover proofs, getting author photographs taken, and a lot more. It was a whirlwind of excitement, and still is. Throughout the process, my manuscript changed. I went back and, being a very different person (and writer) now, saw that some changes needed to be made. I went through it over again many times, asked a dear friend to read it again and tell me what she thought, I edited it myself first and then sent it off to a real editor to perfect it. I even changed the title that I had given it five years before to something that worked much better. It was hard, but it was important to be flexible and willing to make changes so that the manuscript could be as great as possible. Also, a few days ago, I got an email from a nice gentleman who said he would like to publish one of my poems in his journal. I thought that was very nice of him. It was a poem I wrote on Protagonize, just for fun, but turned out to be something more than that. Who knew? Like I said, perseverance; it’ll get you places. 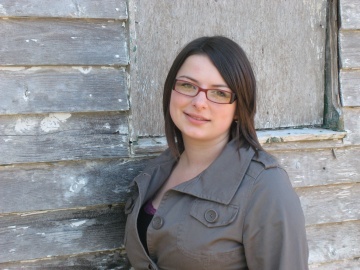 Jillian Hewitt is a full-time student at Memorial University of Newfoundland, working towards a Bachelor’s degree in International Business. She is currently living in Germany for her studies. She is also the author of her first novel, Knickles and Dimes. This entry was posted in Collaborative writing, Guest Posts, Publishing, writing and tagged agents, authors, editing, getting published, Guest Posts, jillian hewitt, protagonize, Publishing, tips. Bookmark the permalink. Hrmmm, what an awesome title….glad I came up with it haha…But it was all Jillian in the blog…she is an amazing woman and I’m glad to have even known her let alone work along side her in some projects. Jillian, you’re my inspiration, my reason I’ve made it this far and I hope to share all of my success alongside you as well. In case some of you don’t know me, I’m aka Writers Block around here. What an awesome story. Congratulations on the publication Jillian. Ah this is so cool!! I’m so happy for you. I really admire your perseverence! Unfortunately, I haven’t come across your work on protagonize (there’s so many members now!) but I’ll definitely go and have a looky now! However, I had read that poem before (the one you mentioned going in a journal) and I remember thinking how excellent it was! Congratulations! And thanks for putting your experience online. I’ve just finished writing my very first book (big deal for me, not so much for anyone else). I know I have a long and treacherous road ahead of me dealing with agents and publishers. Glad to hear that it can be navigated safely! Congrats on the book! Sounds like you’ve had a lot of work on your plate. Glad it worked out so well. I am going to have to read some of your stuff now. I actually only found this site about a week ago, so I look forward to seeing what other authors have to say. Thanks everyone! It really means a lot to have so much support from fellow writers. I’m on protagonize too,, you can really get your story published??? please respond… its my dream to become and author and i think ive finally found my chance… did i? I’d be more than happy to talk to you about your writing and perhaps pass on a piece of advice or two (if you need it) about how I got started.